Tarek and Christina El Moussa, hosts of HGTV's hit show Flip or Flop, talk working together after their split. 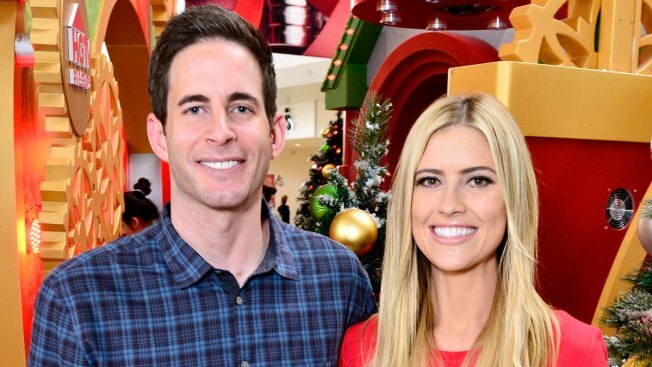 The show must go on — that was the sentiment "Flip or Flop" stars and former spouses Christina and Tarek El Moussa shared after deciding to file for divorce in 2017. And now, as the on-screen duo gets ready for yet another season of their HGTV hit to kick off in the spring, they're opening up about that decision and speaking up about their special partnership as coworkers and co-parents in an interview with TODAY's Natalie Morales. "It was up and down, up and down," Tarek said of their initial call to keep working together after their nearly nine year marriage was over. "We shot the pilot (for 'Flip or Flop') in summer of '11, series of '12 — so we've been doing this a really long time. It's part of who we are and what we do, and for us to just throw it all away just wasn't worth it." "Most importantly, we have two amazing kids together," Christina noted of their 8-year-old daughter, Taylor, and their 3-year-old son, Brayden. "So it's just easier to work together and get along." Of course, viewers who've tuned into the show since the couple decided to go their separate ways off-screen know that getting along isn't always what happens when the cameras roll. Since their split, "Flip or Flop" has showcased some memorable moments of friction between the two, and when Natalie pressed about whether there were ever times when they just wanted to kill each other, they couldn't deny it.